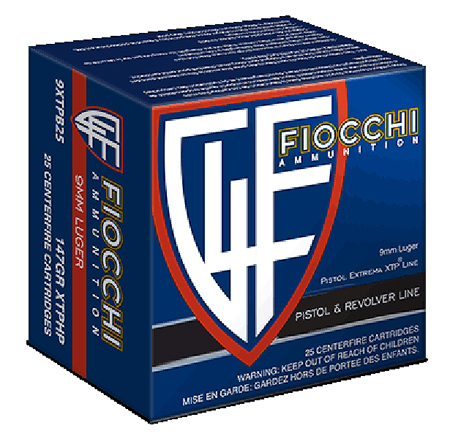 Fiocchis Extrema XTP is the ideal handgun ammo for hunting and self defense. It uses XTP hollow point bullets and nickelplated brass cases in all loads except 25ACP and 32ACP and optimum powder for caliber and reliable primers to deliver the best. The nickelplating resist the elements to protect the brass cases when carried in every day or hunting environments and ofer an increase in surface lubricity for positive function in semiauto pistols and revolver cylinders.